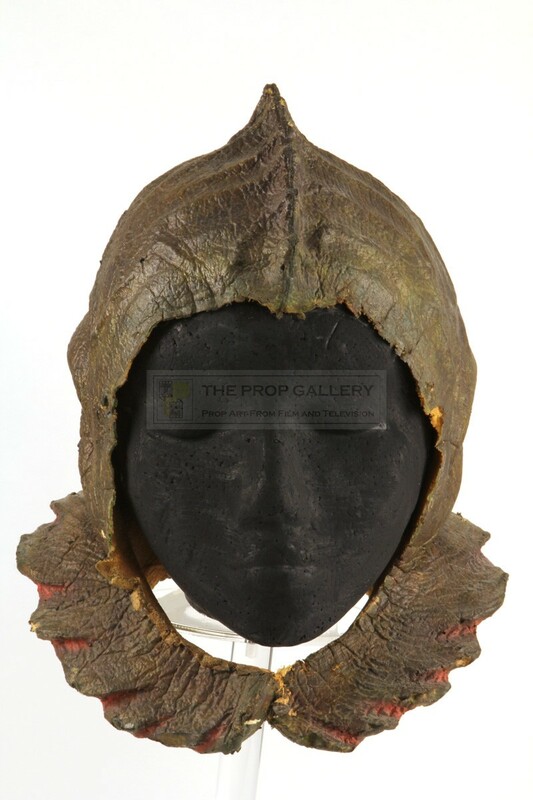 An original costume used in the production of the long running BBC television series Doctor Who. 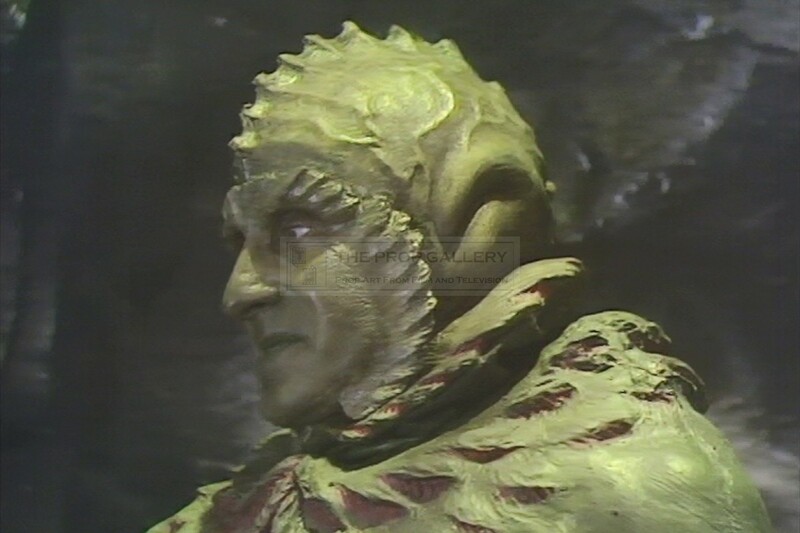 From the 1986 Trial of a Time Lord serial Mindwarp starring Colin Baker as The Doctor this is an original Mentor mask constructed by the BBC Visual Effects Department headed by Peter Wragg in collaboration with make-up designer Dorka Nieradzik. 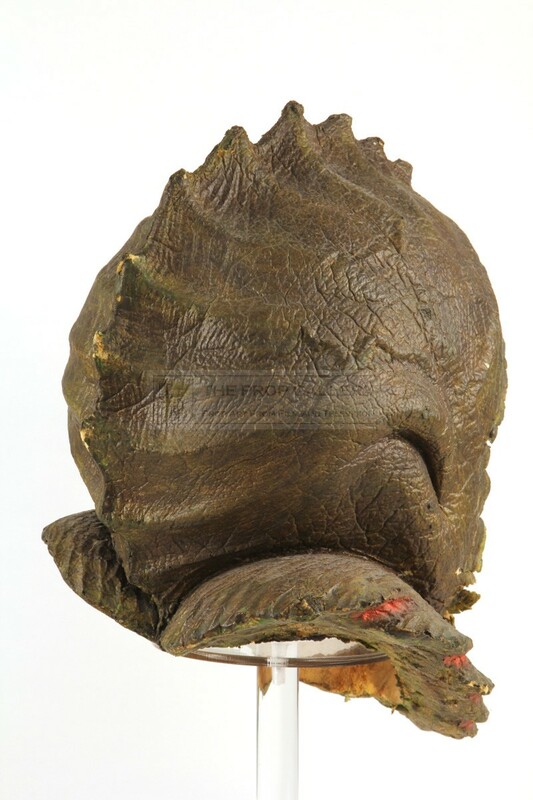 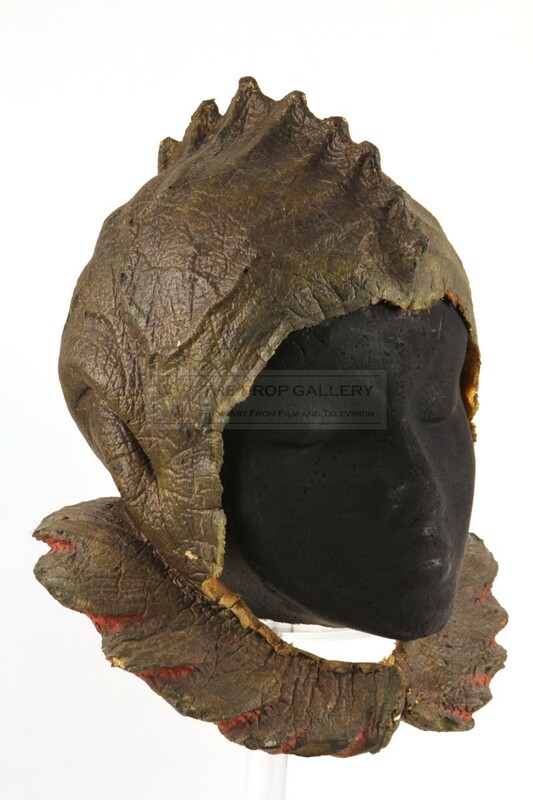 The headpiece is constructed from foam latex with a green paint finish and was worn on screen by actor Richard Henry in addition to prosthetic make-up appliances to create the final appearance with the glue residue used to secure these still visible around the edges of the face. 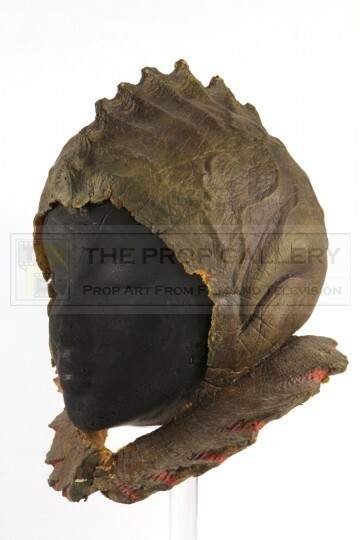 The mask is mounted on a head of polystyrene and measures approximately 12" x 9" x 9", it remains in excellent production used condition, supple and soft to the touch with some minor hardening and wear to the extremities, most notably around the face, generally fine. 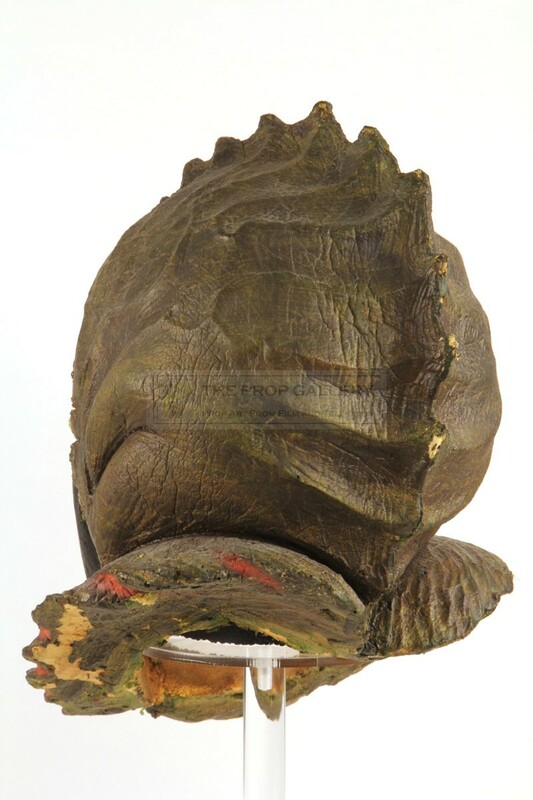 A recognisable and displayable creature artefact from this classic science fiction series.